In a medium sized bowl, mix together the cream cheese, pimento cheese spread, and cheddar cheese with an electric mixer until combined. Add the bacon and mix together. Remove the cheese ball mixture on to a large piece of plastic wrap. Use the plastic wrap to form the cheese ball. Wrap the cheese ball up completely in the plastic wrap and refrigerate overnight. Before serving, put the chopped jalapeño and pecans on a plate. Toss together and then unwrap the cheese ball from the plastic wrap. 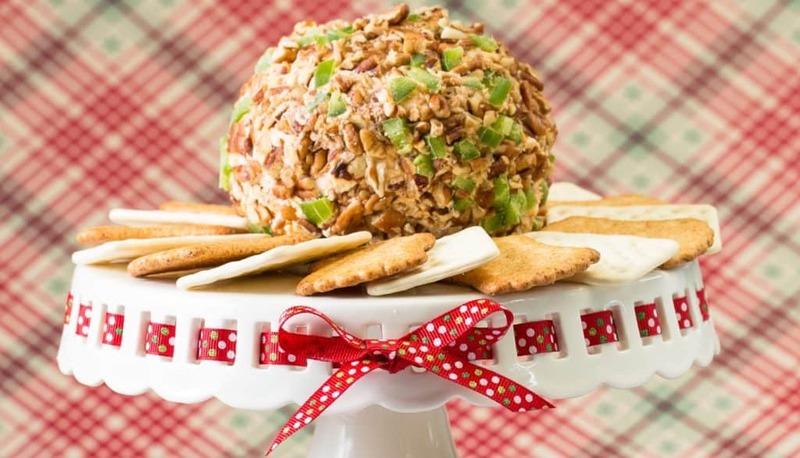 Roll the cheese ball in the jalapeno/pecan mixture until the outside is completely covered. Place the cheese ball on a platter and serve with crackers.